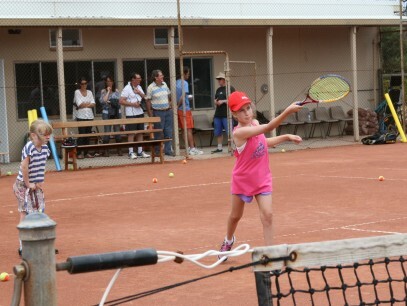 January is the annual open day and we offer a range of activities and opportunities for families to experience the club and its facilities in a fun social environment with sausage sizzle face painting, competitions and giveaways. Wimbledon Garden Party is in July. This event is the social gathering of the year for Long Island Tennis Club. 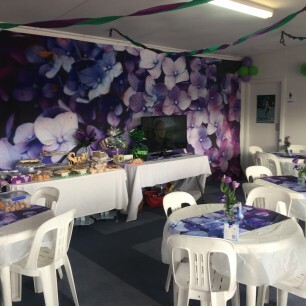 The club is transformed into a garden party atmosphere with the traditional Wimbledon colors of green and purple. Old footage is playing on the screen with tennis matches and exhibitions being played on the courts outside. The clubhouse restaurant provides a range of hot and cold treats to enjoy with family and friends. And off course there is punch!! A cake stall provides many take home goodies and prizes for best costume and raffle hampers to be won. This is a great day so be sure to attend.